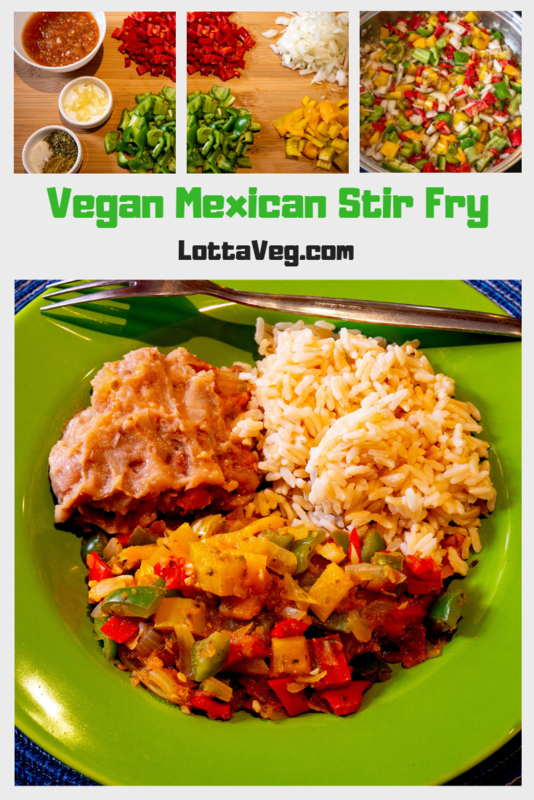 This Vegan Mexican Stir Fry is a great weeknight meal since it's quick to make and amazingly delicious. 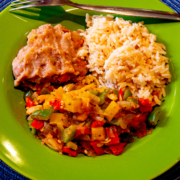 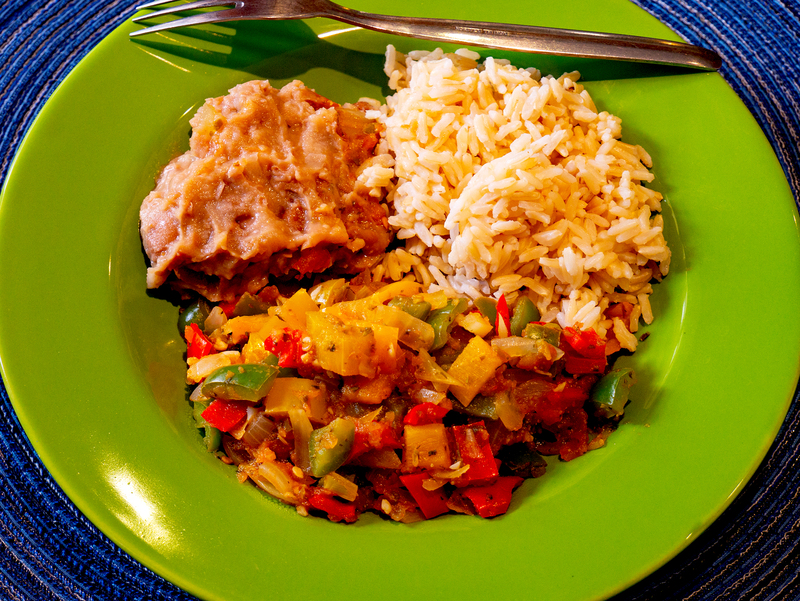 Serve it with some rice & beans made ahead of time. 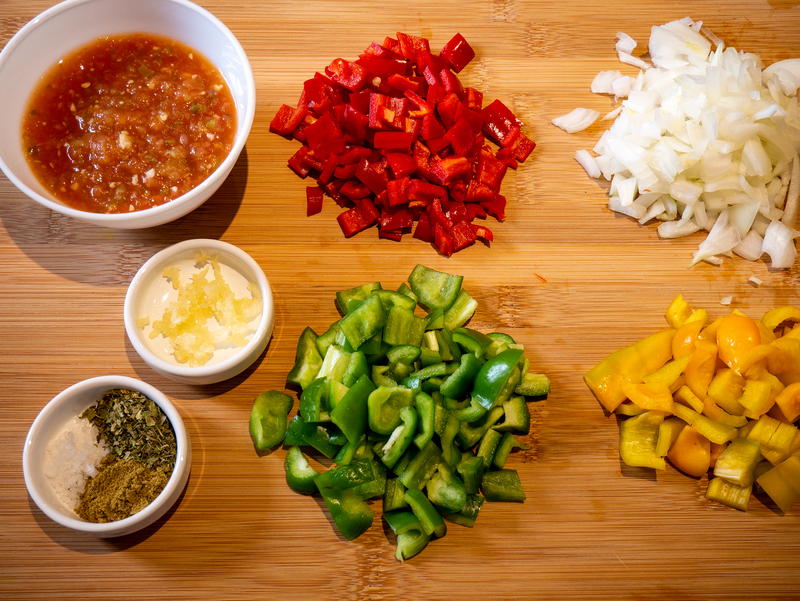 Chop your veg and assemble your ingredients. 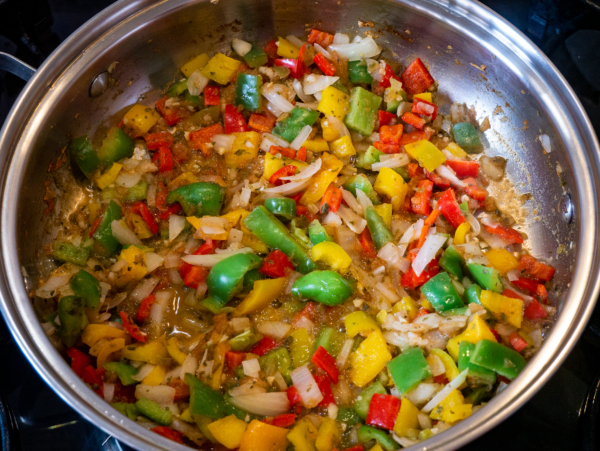 Add all ingredients to a large skillet over medium hate. Steam fry covered until veggies are tender, about 8-10 minutes. 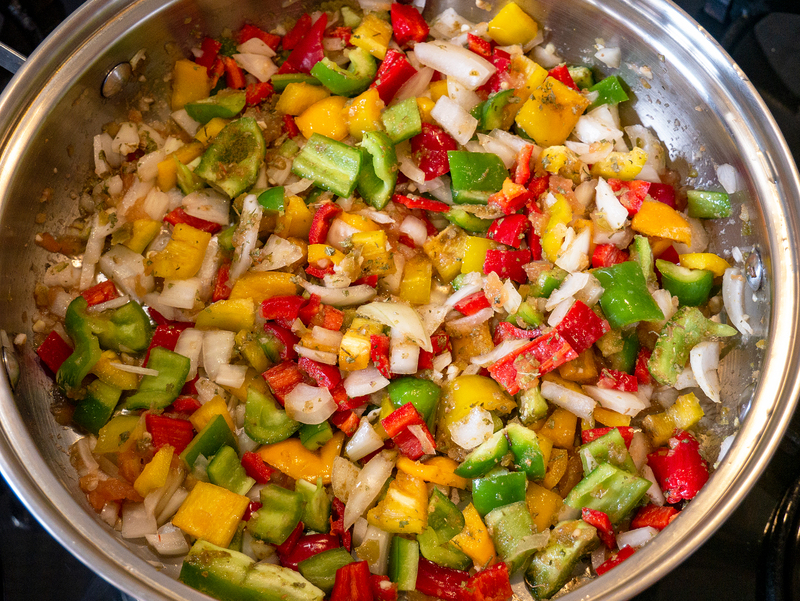 Add extra salsa, veggie broth or water if it needs extra liquid. 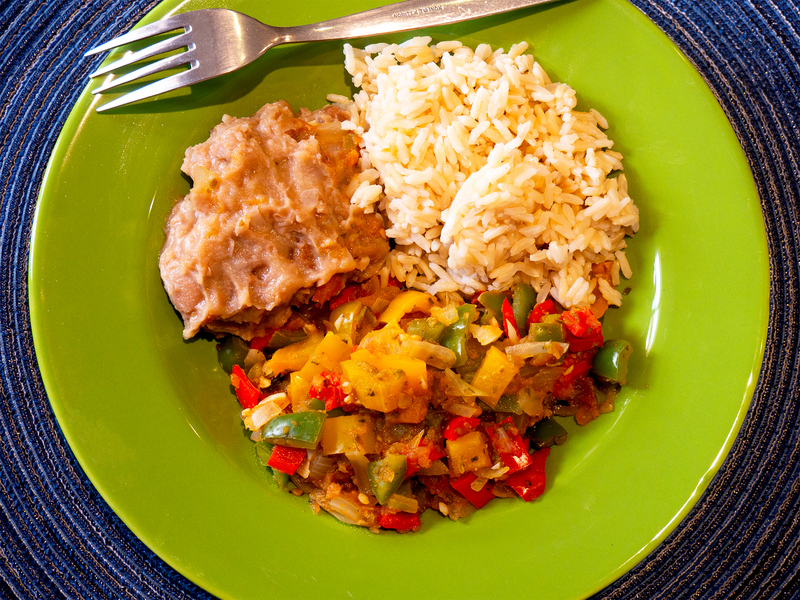 Serve with refried beans or your favorite beans and rice. Serving size is 1/2 of the Vegan Mexican Stir Fry or about 1 1/2 cups.